Understanding coordinating and subordinating conjunctions is made much easier by this exercise filled with opportunities for practise. Teach your third grader how to write two-thought sentences with these exercises that use conjunctions to merge shorter sentences into one. 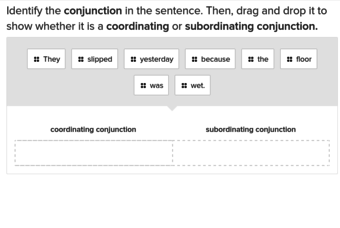 Showing students how to work with coordinating and subordinating conjunctions has never been easier thanks to this exercise.